I freely admit I lack the scientific expertise to confirm or refute this media report – however I do believe that it is likely to be correct in the light of the many items of missinformation we the public have been fed on this issue to date! An ominous edict issued from the Office of the President of Russia today to all Ministries of the Russian Government ordering that all “past, present and future” information relating to Japan’s Fukushima Daiichi nuclear disaster now be rated at the highest classification level “Of Special Importance” states that this condition is “immediately and urgently needed” due to a series of underground nuclear explosions occurring at this crippled atomic plant on 31 December as confirmed by the Ministry of Defense (MoD). “Of Special Importance” is Russia’s highest classification level and refers to information which, if released, would cause damage to the entire Russian Federation. 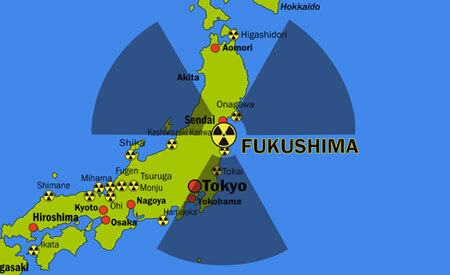 The Fukushima Daiichi nuclear disaster was a catastrophic failure at the Fukushima I Nuclear Power Plant on 11 March 2011. 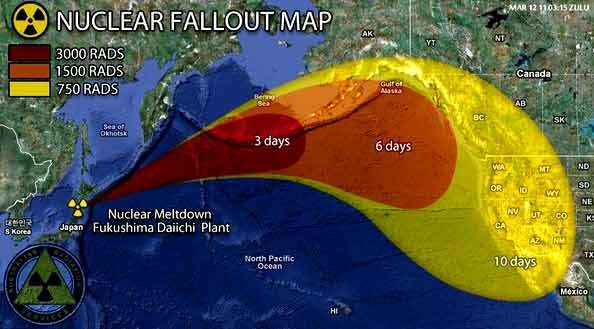 The failure occurred when the plant was hit by a tsunami triggered by the 9.0 magnitude Tōhoku earthquake. The plant began releasing substantial amounts of radioactive materials beginning on 12 March 2011 becoming the largest nuclear incident since the 1986 Chernobyl disaster and the second (with Chernobyl) to measure at the highest Level 7 on the International Nuclear Event Scale (INES). 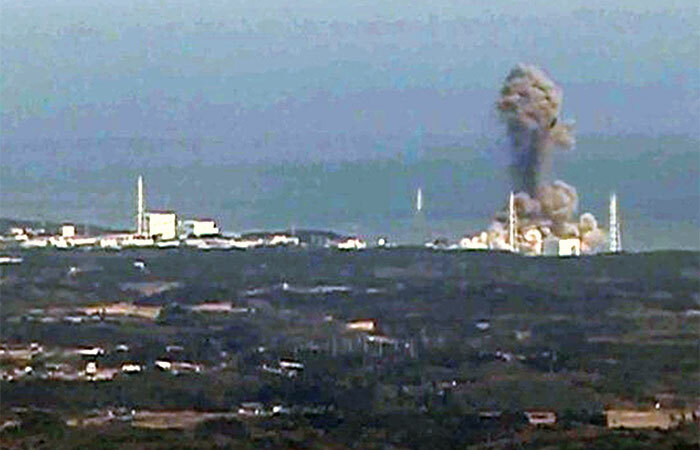 According to this report, MoD “assests” associated with the Red Banner Pacific Fleet detected two “low-level” underground atomic explosions occurring in the Fukushima disaster zone on 31 December, the first measuring 5.1 magnitude in intensity, followed by a smaller 3.6 magnitude explosion moments later. The MoD further reports that the 5.1 magnitude event corresponds to the energy equivalent in megatons of TNT of 0.0005, while the 3.6 magnitude event equals 0.0000005. As a comparison, the MoD states that the atomic bomb dropped on Hiroshima in 1945 by the United States released the equivalent of 16 Kilotons = 0.016 megatons of TNT, about the energy equivalent of a magnitude 6 earthquake, and the largest hydrogen bomb ever detonated was the Tsar bomb, a device exploded by the Soviet Union on 30 October 1961, with an energy equivalent of about 50 megatons of TNT. 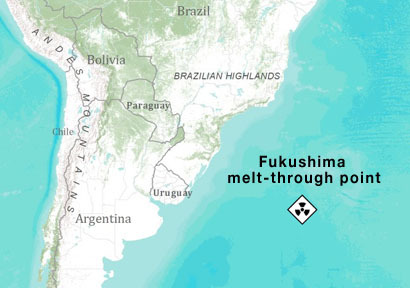 Important to note, this report continues, was that the architect of Fukushima Daiichi Reactor 3, Uehara Haruo, warned on 17 November 2011 warned that a “China Syndrome” (aka: Hydrovolcanic Explosion) was “inevitable” due to the melted atomic fuel that had escaped the container vessel and was now burning through the earth. The MoD further reports that evidence that these underground nuclear explosions were about to occur began after mysterious steam plumes were first spotted on 19 December for a short period of time, then again on 24, 25, 27 December, and confirmed by a report Tokyo Electric Power Company (TEPCO) published on its website. Most curious to note, this report continues, is that the United States appears to have had a more advanced notice of these underground nuclear explosions as evidenced by their purchase earlier this month (6 December) of 14 million doses of potassium iodide, the compound that protects the body from radioactive poisoning in the aftermath of severe nuclear accidents, to be delivered before the beginning of February 2014. With experts now estimating that the wave of radiation from Fukushima will be 10-times bigger than all of the radiation from the entire world’s nuclear tests throughout history combined, and with new reports stating that dangerous radiation levels have been detected in snows found in Texas, Colorado and Missouri, this MoD report warns the US, indeed, is going to face the severest consequences of this historic, and seemingly unstoppable, nuclear disaster. And not just to human beings either is this nuclear disaster unfolding either, this report grimly warns, but also to all biological systems as new reports coming from the United States western coastal areas are now detailing the mass deaths of seals, sea lions, polar bears, bald eagles, sea stars, turtles, king and sockeye salmon, herring, anchovies, and sardines due to Fukishima radiation. As to the American people being allowed to know the full and horrific mass death event now unfolding around them, this report warns, is not be as the Obama regime has, in effect, ordered all of their mainstream news media organs not to report it, and as recently confirmed by former MSNBC host Cenk Uygur who was told not to warn the public about the danger posed by the meltdown at the Fukushima nuclear plant during his time as a host on the cable network. And with Russian experts now warning that as Fukushima pollution spreads all over Earth (as large amounts of fish, seaweeds, and everything in ocean has been already been polluted, and these products are the main danger for mankind as they can end up being eaten by people on a massive scale) this report warns that Putin’s order to classify all information relating to this nuclear mass death event “Of Special Importance” is vital to protect the economic and social stability interests of the Russian Federation as this global catastrophe continues to worsen by the day. It could be a nice beneficial part of information and facts. My business is pleased that you just provided this handy info with us. You should stop us up-to-date like that. Many thanks for revealing.